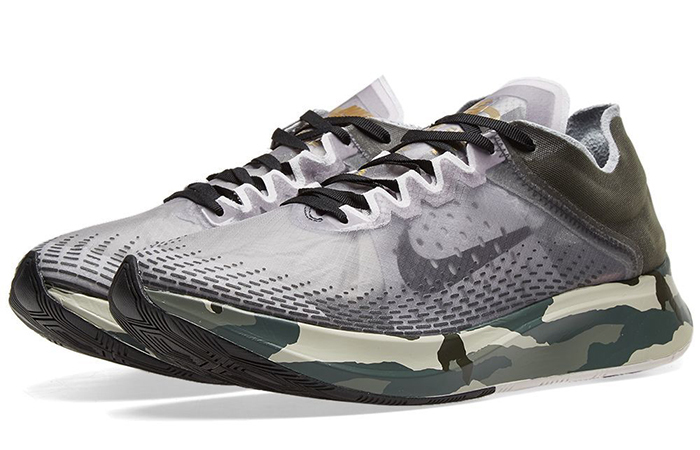 Nike Zoom Fly SP Fast Sequoia Grey will hit the sneaker streets hard as hell! 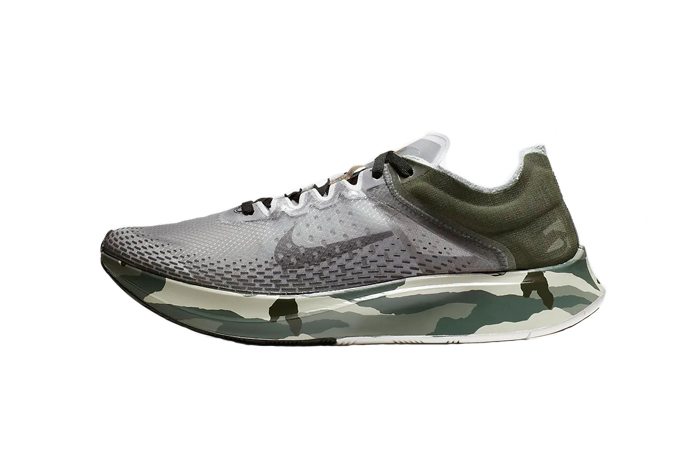 This Nike Racing shoe is the most dependable from the race-kick range. 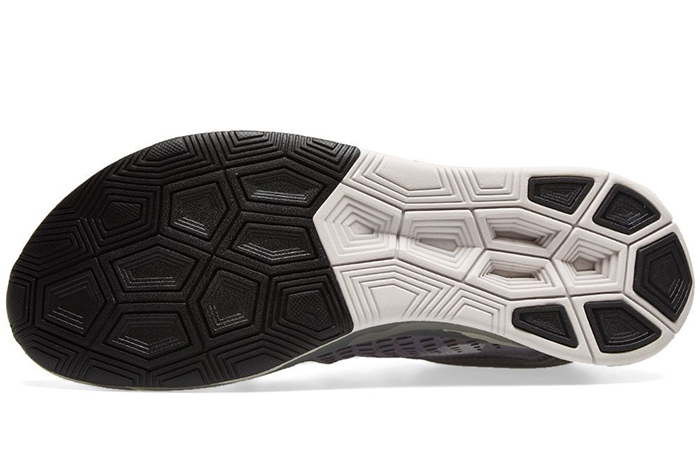 It’s originally designed and engineered to meet the demands of swift runners and athletes. The bouncy, lightly cushioned midsole and the stretchy and flexible synthetic upper keep your strides confident and safe. 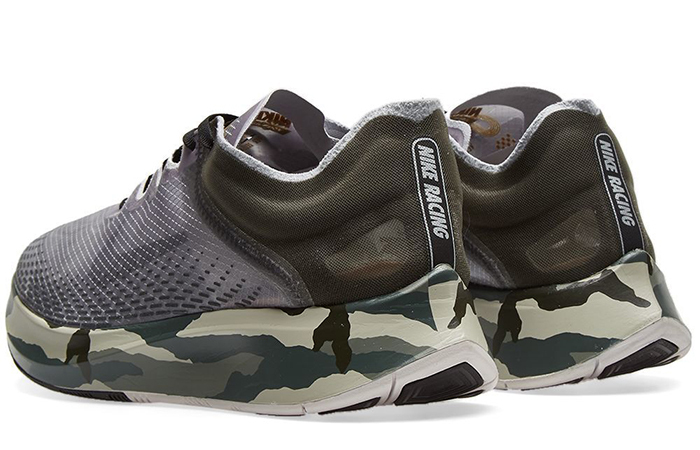 Stun the gawkers with its moody grey-gradient theme and the new camo-style midsole. If you want to win the sneaker game, you have to keep up with the trends! Hit the follow button for @FastSoleUK as fast as you can. We will keep you posted about all the new details. Premium quality of synthetic mesh crafts the entire upper boldly while making sure your feet don’t feel any outside shock or pressure. The grey shade spreads over with mystique vibes and ends when the olive heel support comes up. 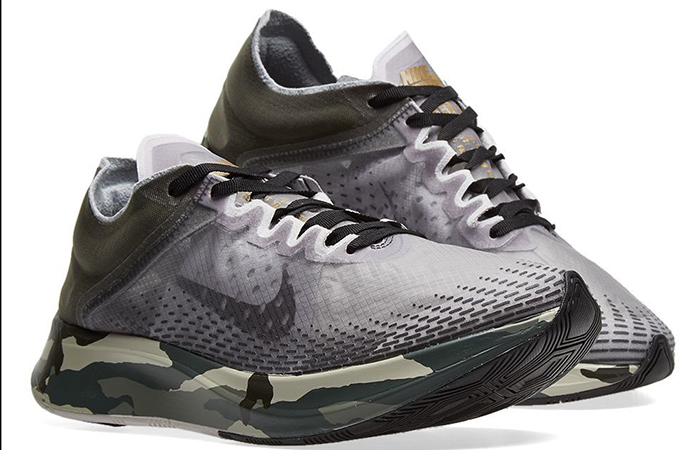 The Zoom Fly midsole on the underfoot flaunts a grey camo-print to keep the theme wilder! Nike Zoom Fly SP Fast Sequoia Grey releases February 7th via listed UK and European retailers.